TUCSON, AZ – The Arizona Coyotes, National Hockey League affiliate of the Tucson Roadrunners, announced the assignment of defenseman Jalen Smereck to the Flint Firebirds of the Ontario Hockey League this morning. 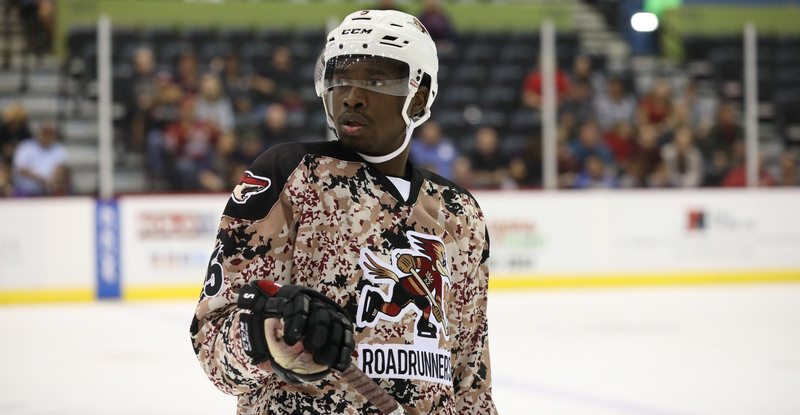 Smereck, 20, dressed in two games with the Roadrunners this season and recorded one point in a pair of contests with the Fort Wayne Komets, the club’s ECHL affiliate. The 6’0” – 190 lbs. native of Detroit, MI totaled 45 points (9-36-45) in 60 games with Flint last season. Over the course of his OHL career, Smereck has 70 points (14-56-70) in 123 regular season games with Flint and Oshawa. Tickets for all 27 remaining Roadrunners home games, including all three games during this Thanksgiving Week (tonight, Friday and Saturday at Tucson Arena), are on sale now and can be purchased by clicking HERE or visiting the Tucson Convention Center box office. For more information on the club, call 866-774-6253.